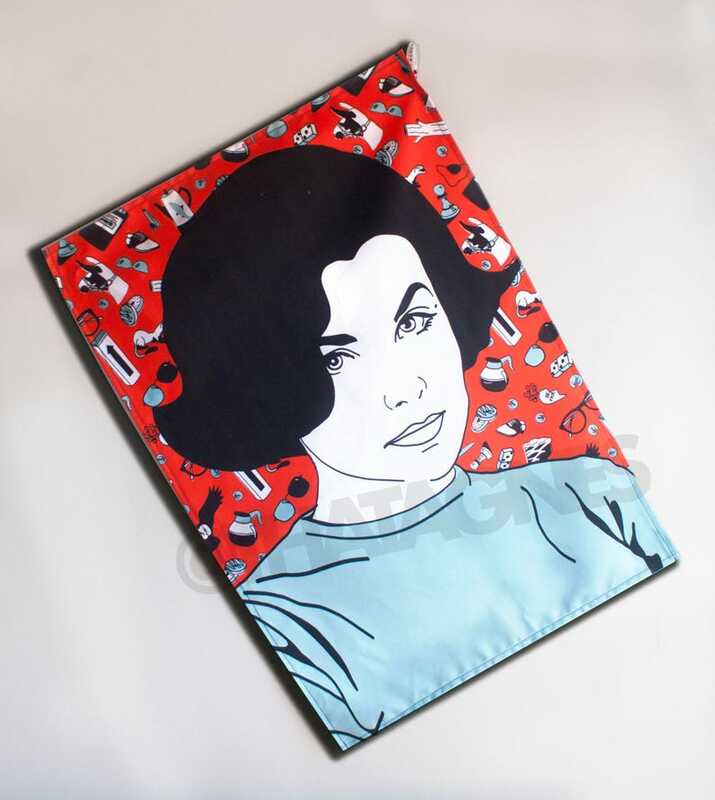 Twin Peaks Audrey Horne illustrated tea towel. Handmade and exclusive to ThatAgnes! Twin Peaks is one of the most legendary TV shows all time - and who made everyone's hearts flutter more than Audrey Horne? Now you can have her helping you in the kitchen all the time with my illustrated Twin Peaks tea towels. They are exclusive to ThatAgnes, which means you won't find these anywhere else! Printed in Kent onto a soft, medium-weight cotton twill (213gsm) with a diagonal weave, using eco-friendly water based pigment inks. It is a quite a thick, stiff fabric. Every towel is hand-cut and sewn by myself, which ensures that each passes my strict quality control. They are sturdy and hard-wearing. They feature a long, thin label which acts as a tab to hang it on. Of course, you don't have to use it as a towel - it looks just as lovely ironed flat and hung up on a kitchen wall! It is approximately 68cm long tall by 48cm wide. As they are hand-made sizes may vary by a few millimetres. They are machine washable; instructions will be included, but just in case: Wash on a 30°C delicate cycle. Don’t use detergents containing phosphates/optical brighteners. Use a mild detergent specifically for delicates. Do not wring or rub. Iron on a low setting. All of my Twin Peaks illustrations are entirely unofficial and not endorsed by anyone involved in the production of the show. Twin Peaks Log Lady illustrated tea towel. Handmade and exclusive to ThatAgnes! Hitchhiker's Guide to the Galaxy illustrated tea towel. Handmade and exclusive to ThatAgnes! 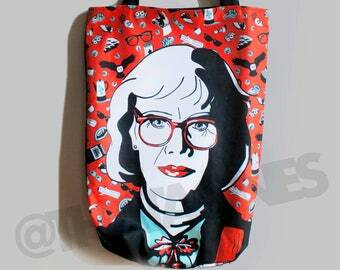 Twin Peaks illustrated make-up bag/pencil case. Handmade and exclusive to ThatAgnes! 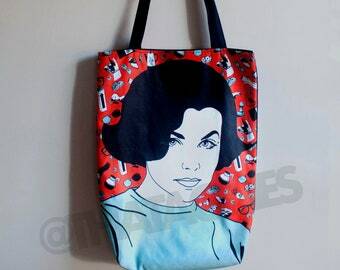 Frank N. Furter illustrated tote bag. Fully lined, superstrong, handmade, and exclusive to ThatAgnes! 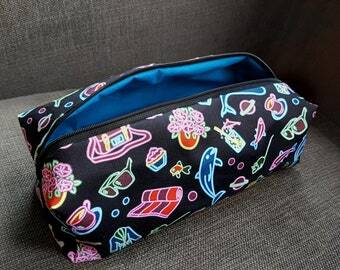 Hitchhiker's Guide to the Galaxy illustrated make-up bag/pencil case. Handmade and exclusive to ThatAgnes! Grey Gardens illustrated make-up bag/pencil case. Handmade and exclusive to ThatAgnes! Whatever Happened to Baby Jane illustrated make-up bag/pencil case, ft Bette Davis and Joan Crawford!